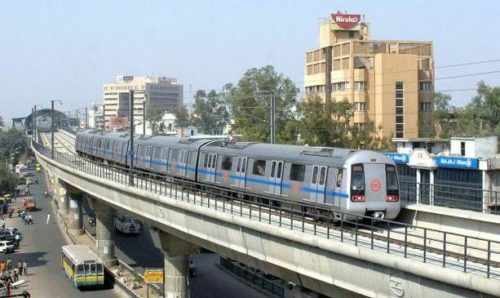 Noida: The Noida Metro Rail Corporation (NMRC) on Friday said the public investment board (PIB) has committed to provide almost Rs.1,034 crore of the funds required for the under-construction Noida to Greater Noida Metro link. Officials are upbeat as financial issues for this 30-km metro project are now resolved. Santosh Yadav, managing director of NMRC, and Pramod Kumar Aggarwal, chief executive officer (CEO) of the Noida authority, met with PIB officials in Delhi on Friday to get the final approval for funds. “The PIB’s commitment on funding and approval for our project is a big achievement for our metro link, which will not face financial hurdles in future,” said Yadav. The NMRC had applied for approval from PIB, a Central government body that clears funds for important infrastructure projects in the country, in October 2013. “Now, the Centre will start releasing funds of Rs1,034 crore in small instalments as per our needs. The first instalment of Rs.384 crore will be released in the ongoing financial year 2016-17, Rs.400 crore in financial year 2017-18 and remaining amount will be released in the financial year 2018-19,” said Yadav. The NMRC has set a budget of Rs 5,533 crore for this project that will link Greater Noida with rest of Delhi-NCR. The corporation, which was formed in November 2014 to build metro projects, aims to take almost half of the funds required from Central government agencies. The remaining funds are to be provided by the Noida and Greater Noida authorities together. Work on the project was started in January 2015 and the metro line is scheduled to become functional by the end of 2017. The metro link will branch out from Noida’s Sector 71/51 interchange and end at Greater Noida’s Delta 1. The metro stations will be located in sectors 52, 51, 50, 78, 81, Dadri Road, sectors 83, 137, 142, 143, 144, 147, 153, 149, Knowledge Park 2, Knowledge Park 1, Pari Chowk, Alpha 1, Alpha 2, Delta 1 and Depot station, benefiting nearly 15 lakh people. Around 20 km of the line is located in Noida and remaining 10 km in Greater Noida. NCR planning body to also add ₹1,587 crore. Founder and Managing Editor at Metro Rail News - A Symbroj Media Pvt Ltd. Playing Key role in editorial activities & operation.